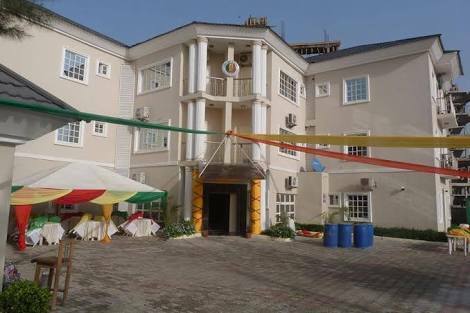 The court of appeal, Abuja division, on Monday, said that the Acting Inspector General of Police (IGP), should respect court orders mandating police to unseal the corporate head office of the peace corps of Nigeria in Abuja, which was sealed up about two years ago. Justice Stephen Adah said it is in the best interest of Nigerians that police, as a law enforcement agency, obeys lawful orders of the court. In an appeal filed by the police challenging the decision of the federal high court, counsel for peace corps of Nigeria, Joshua Musa, alleged that police is yet to obey two orders of the federal high court that the headquarters of the corps be unsealed since 2017. The Attorney General of the Federation (AGF) and minister of justice had written the police twice directing it to comply with the court orders. He, therefore, appealed to the court of appeal to issue an order to compel the police to obey the orders of the high court and unseal the peace corps office before giving police audience. However, the appeal by the police could not be heard because of multiple motions filed by the police and the peace corps over the issue. While the police in one of the motions, is praying the court of appeal to stay the execution of judgment of Justice Gabriel Kolawole which declared the siege on the peace corps as illegal and imposed a fine of N12.5 million, the peace corps in its motion is urging the appellate court not to grant audience to the police until it has complied with the earlier order, directing it to unseal the office. Justice Adah who said that the court of appeal does not stay the execution of judgments adjourned the appeal by the police till May 28 for hearing. The federal high court had, in two different judgments delivered by justices Gabriel Kolawole and John Tsoho, in 2018, ordered the police to vacate the corporate offices of the peace corps of Nigeria on the grounds that the seal up of the office was unlawful, illegal and unconstitutional.